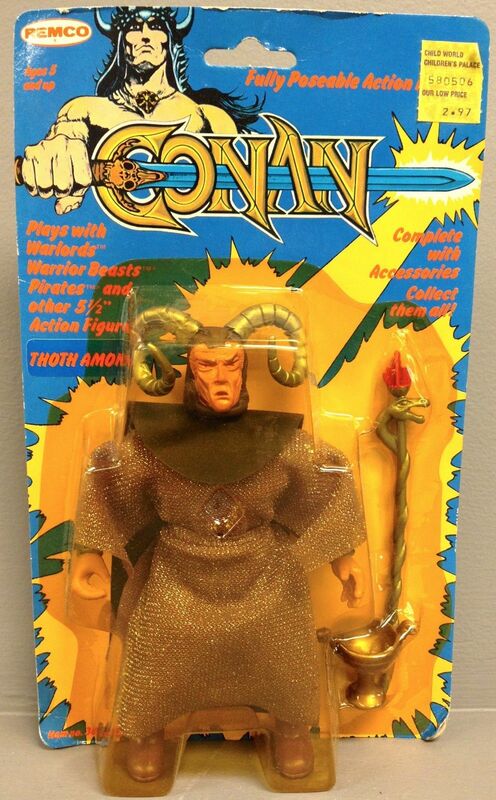 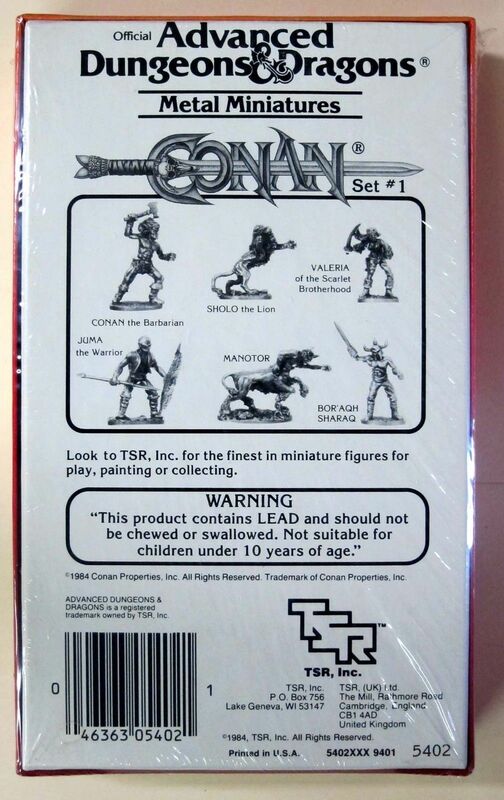 TSR released two Conan modules in 1984 (Conan Unchained! 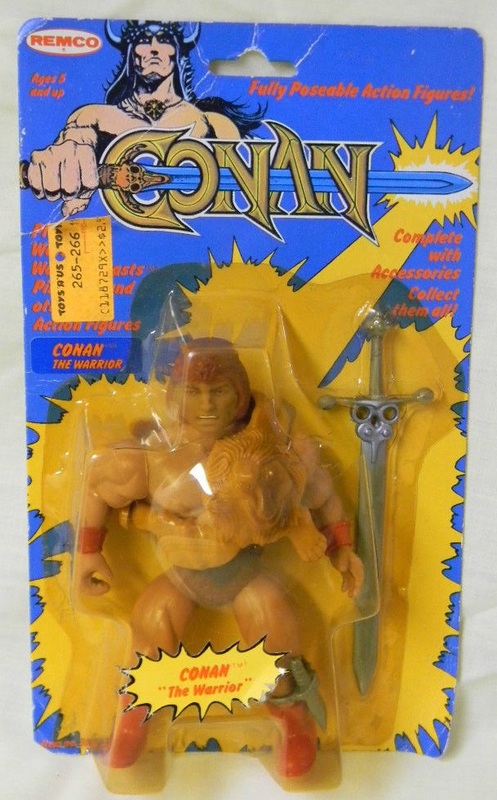 and Conan Against Darkness!) 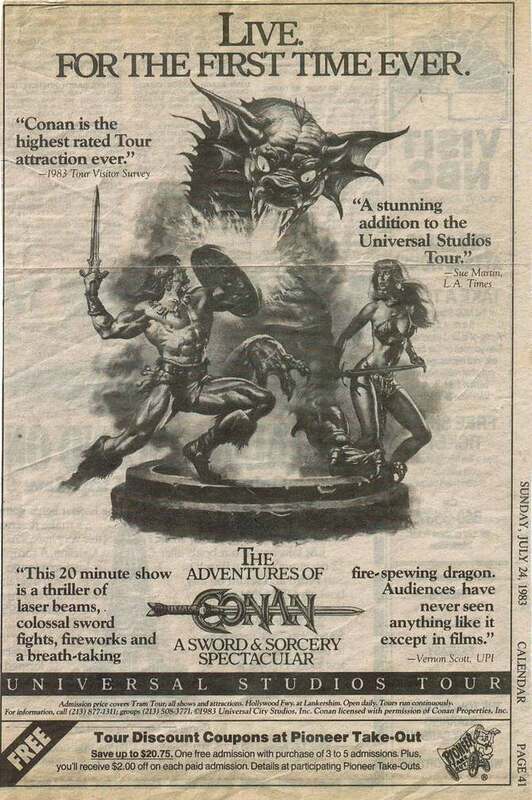 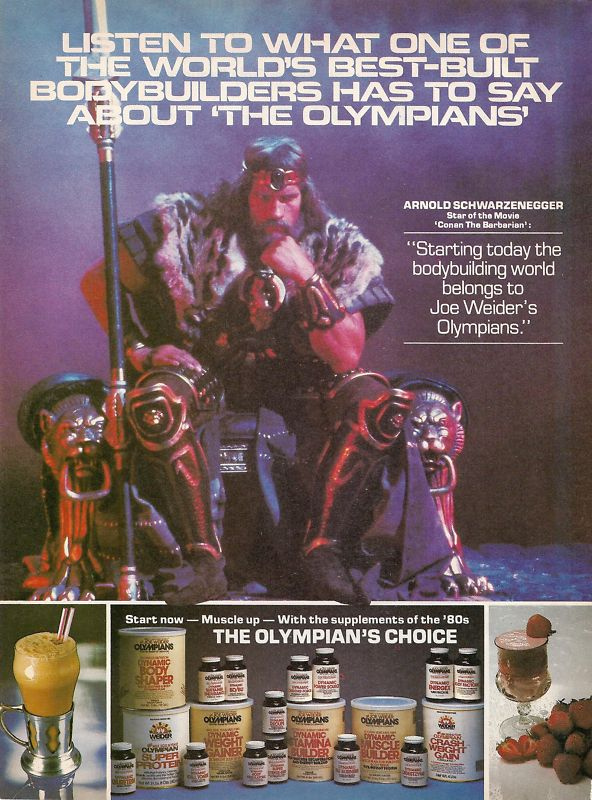 to coincide with the release of Conan the Destroyer. 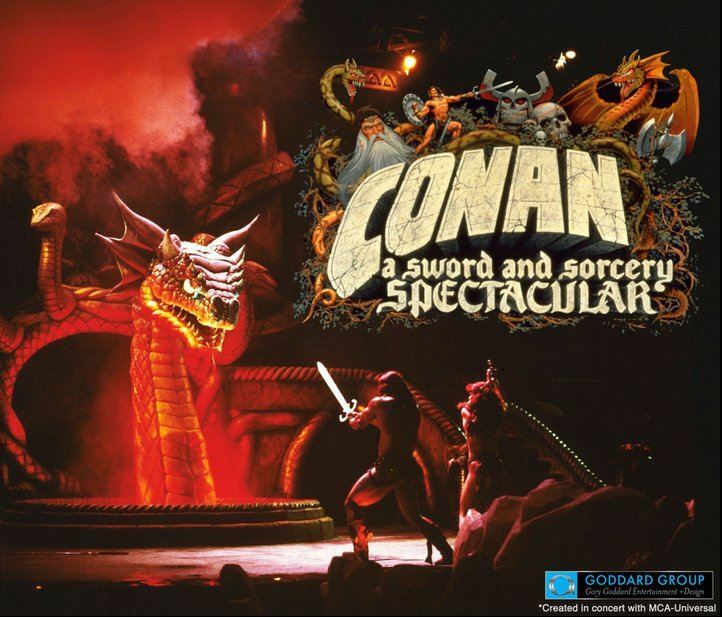 In 1985 TSR released, for obscure reasons, the Conan Role-Playing Game, with game mechanics based on the Marvel Super Heroes RPG. 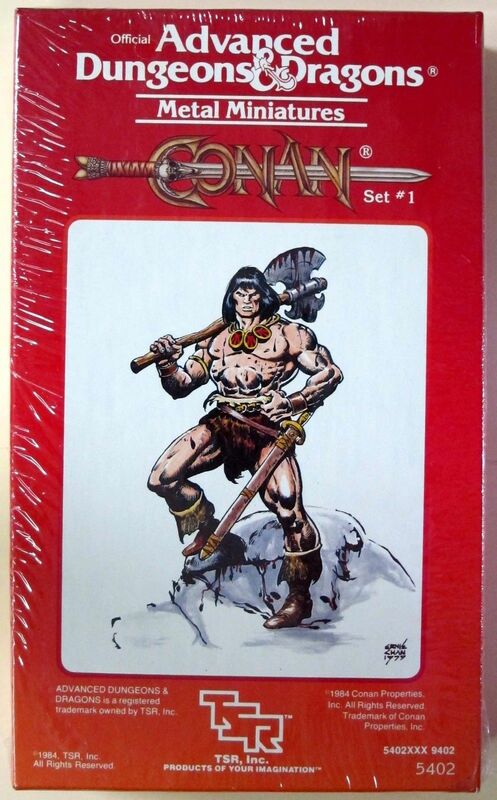 Chris Kutalik reviews the Conan RPG at Hill Cantons. 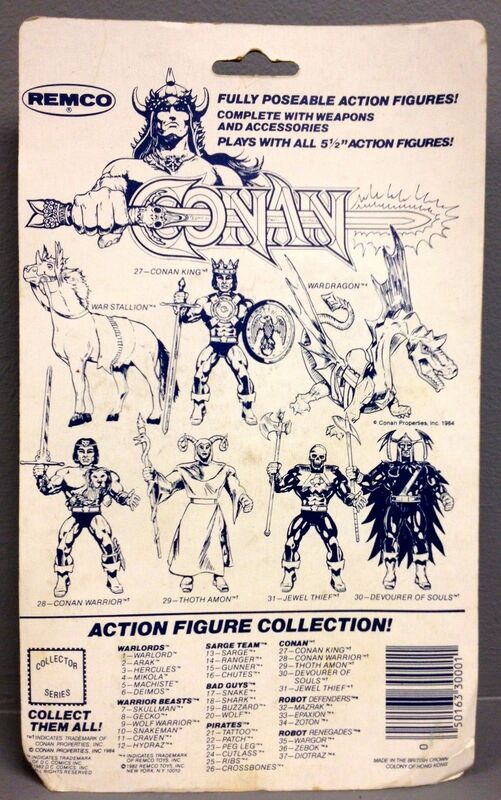 You can see some close-ups of the minis here and here.